This bomber has frequently entered my dreams over the past few weeks. For a while, it was all I thought about, to the point where I couldn't even concentrate on my uni work. 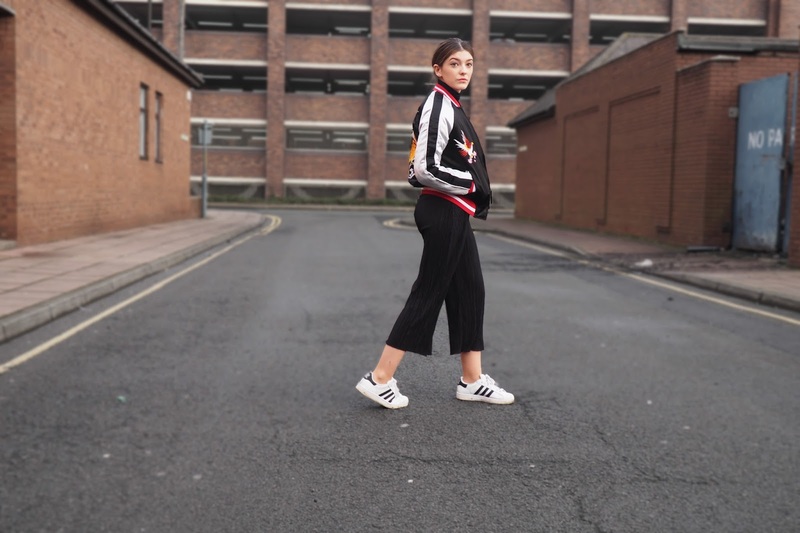 It exudes a delicious sporty yet chic vibe, something which, if you've read my blog for a while, will know I bladdy love. This time, I left the beloved glove shoes at home, and took my Superstars for a spin, after being shoved to the back of my shoe-drobe for far too long. 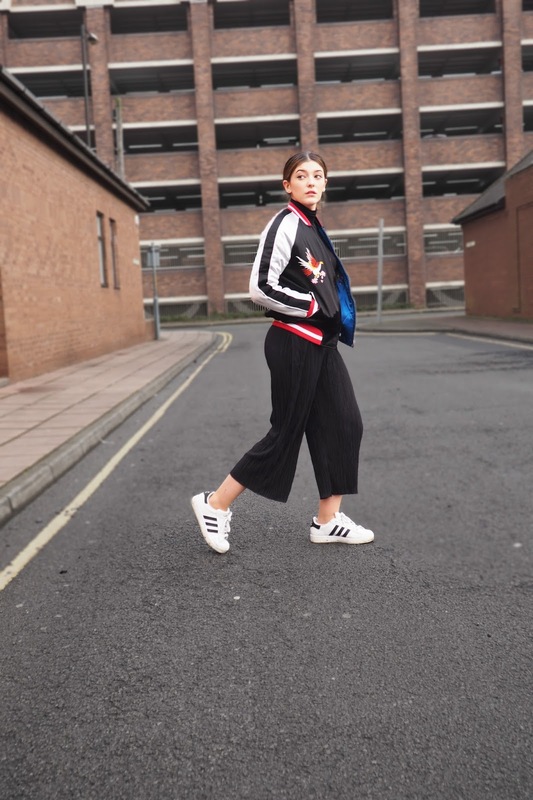 Welcome, the culottes. Wide leg, pleated, and cropped, put together they sound pretty off-putting, but boy have they stolen my heart. 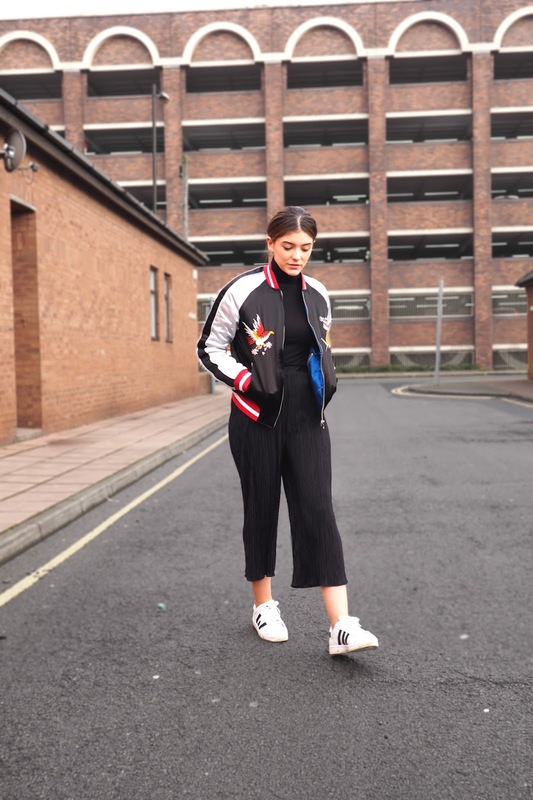 Paired with this bomber and classic trainer, this is the ultimate sports luxe get-up, and I just can't get enough. Such a cute look. I love your jacket.